The purpose of Druid Hills Youth Sports is to promote good character, health, and sportsmanship among the youth of the community through sports. 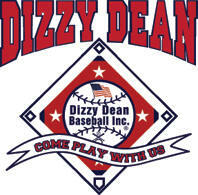 DHYS will play under Dizzy Dean rules plus DHYS-specific rules for each league, which are listed below. NOTE: Beginning January 1, 2018, USA Baseball will implement a new method for measuring bat performance in the testing of youth baseball bats. The new "USA Bat Standard" will create wood-like performance in youth baseball bats. All bats must be made of wood, metal, graphite or ceramic material, must be round, manufactured for baseball play and be no longer than 42". Prohibited: All composite bats without a material certification stamp are prohibited. Allowed: Wood barrel bats, metal tee ball bats with or without a material certification stamp, composite and metal bats with a USA Bat Standard stamp. Prohibited: All composite bats without a material certification stamp and "T-Ball" bats are prohibited. Allowed: Wood barrel bats or composite and metal bats with a USA Bat Standard stamp. Allowed: Only bats that meet the following material and size restrictions are allowed. Material: Wood barrel bats are allowed. Metal and composite bats with either the BBCOR or USA Bat Standard stamp are allowed. Please note that any material except wood requires a material certification stamp. Drop (length-weight): 14U players shall use bats no lighter than a drop 5, 13U players shall use bats no lighter than a drop 9. If a 13U player is playing down in the Major League, this rule shall not apply. Materials: Wood barrel bats are allowed. Metal and composite bats with either the BBCOR , USSSA 1.15 BPF material certification, or USA Bat Standard stamp are allowed. Please note that any material except wood requires a material certification stamp. Drop (length-weight): A drop of 5 or less is required for players in 8th grade. A drop of 9 or less is allowed for players in 6th or 7th grade.